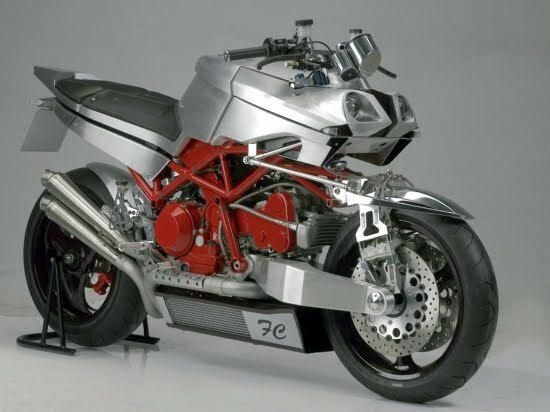 Ferruccio Codutti’s Ducati Monster S4 makes a radical departure from the Ducati version with its hand-sculpted aluminum entire body. Make it Lighter and Faster! The Codutti monster gets some serious front suspension, chassis and steering change, with it now steering via a hub steering, a-la-Italjet dragster. The front suspension now gets swing arm treatment with the Codutti monster abandoning Ducati’s USD front forks. Now, with all these changes, Codutti has been a bit hardpressed for space for the radiator. Ferruccio Codutti took 1 year to build this monster. And the price, of the Codutti Monster, of course, will be stratospheric.